I had a cold last week and the nasal congestion was so severe that I had to breathe through my mouth. I made a stock blend of the following essential oils for steam inhalation and for use with Aromatherapy inhalers. 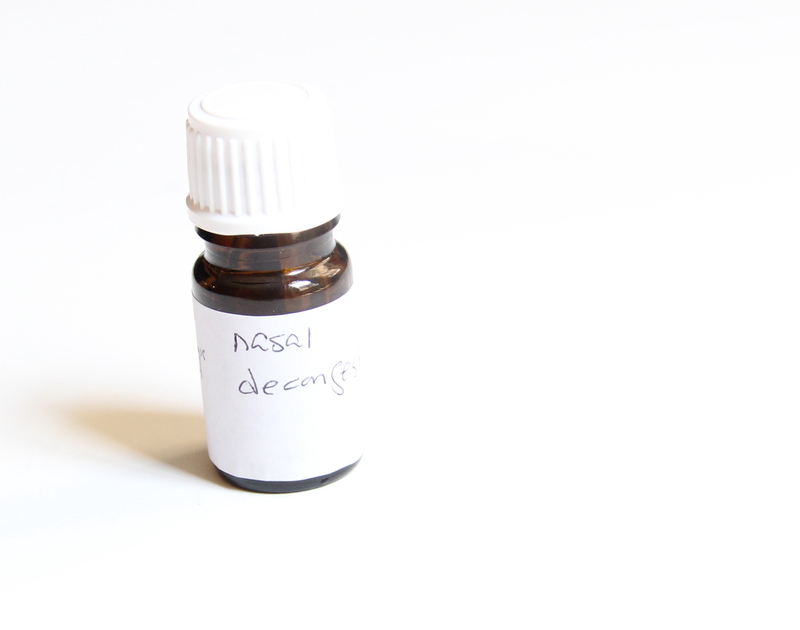 This blend can be used for nasal congestion caused by common cold, flu or allergies. Do not use if you are asthmatic. Not for children under 5. 5 drops of Siberian Fir, 5 drops of Cypress & 5 drops of Ravintsara. These oils are high in Monoterpenes which are excellent for inhalation. They reduce mucus production and swelling and aid in expectoration. These oils were also chosen synergistically for their ability to stimulate immune system. Terpinen-4-ol in Tea Tree and Ravintsara activates white blood cells and fights infection. 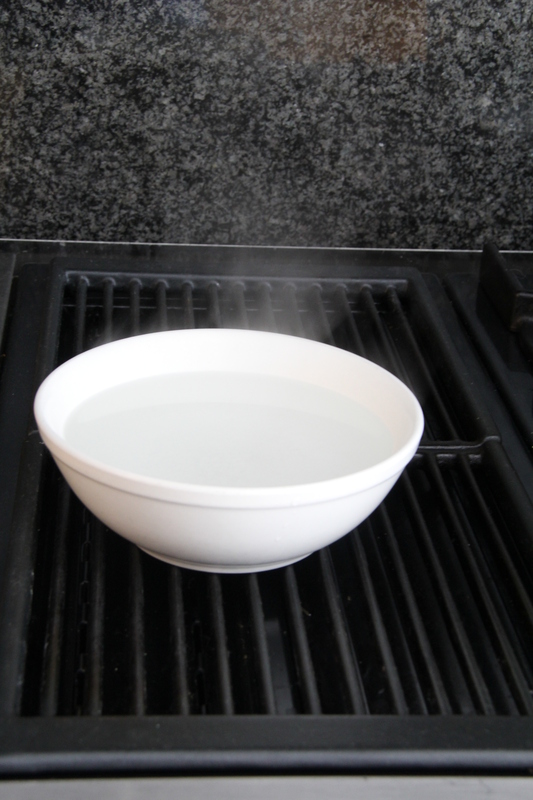 Boil purified water and pour into a ceramic bowl. Do not use plastic which may leach harmful chemicals when hot and do not use metal which may interfere with essential oils’ chemical components. Wait until the steam disperses a little. We don’t want to burn our face. Drip one or two drops of the above stock blend into the water and drape a large towel over your head, like a tent . Breathe in deeply and let the essential oils do their work. It is like a facial! Do this 2-3 times a day. They are nifty portable gadgets to carry precious essential oils around whenever you need them! 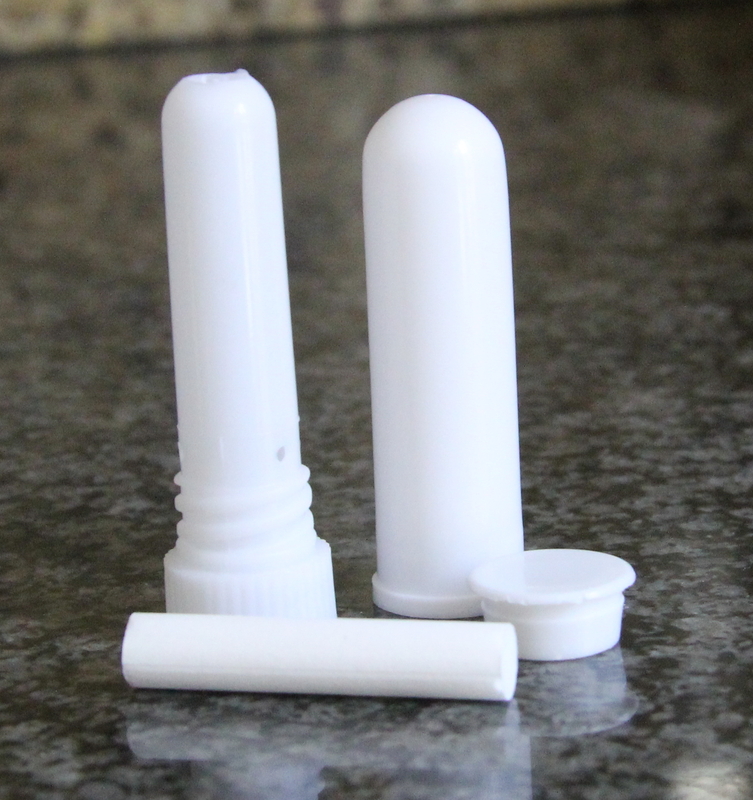 Here is a picture of a blank inhaler. You can purchase them here. It consists of 4 parts: the outer shell, inner shell, cap and cotton wick. The inner shell houses the cotton wick and has 2 holes for the volatile essential oils to come out and into your olfactory organ. The cotton wick is made of highly absorbent cotton which in turn will soak up the essential oils. Drip 15-20 drops of the above stock blend into a glass bowl. Always use glass when blending essential oils. No plastic or metal! 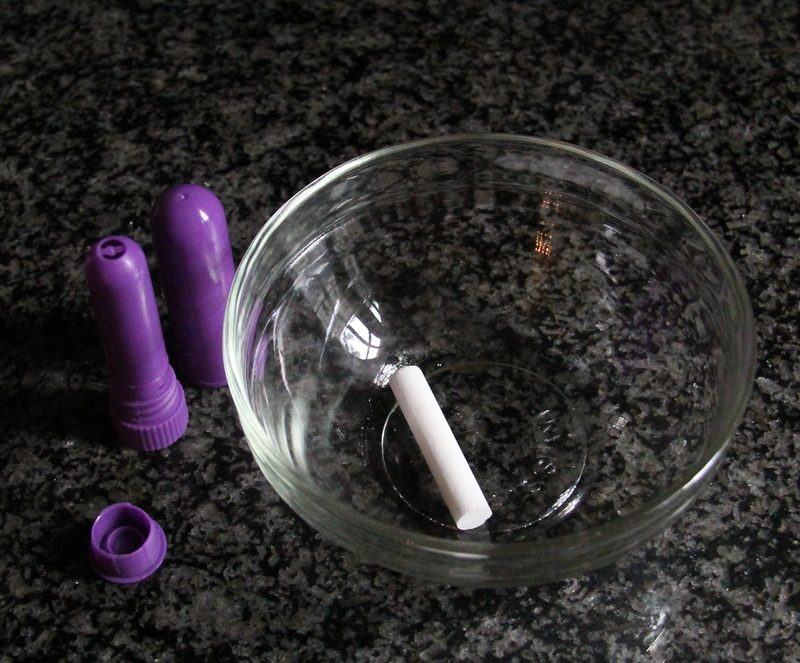 Roll the cotton wick back and forth until all the essential oils are soaked up. Assemble the parts and it is ready. This will last about 3 months. Close one nostril with your finger and inhale deeply through the other. Change sides. Use it whenever you need it throughout the day. By 2nd day, I felt much better! These two methods aid tremendously in relieving the discomfort from nasal congestion and clearing up the sinus. And is helpful in preventing sinus infection. I am a certified Aromatherapist, if you or your loves ones have health or emotional concerns that you want to address with essential oils, I am here to help. You can contact me via my Etsy shop or email me at: info@pure-ssential.com. Previous postHow many Chamomile essential oils are there? One of its ingredients is Wintergreen. Wintergreen contains 97% of Methyl salicylate, which is liquid Aspirin. It carries quite a few health warnings, at least in US. Wintergreen is highly effective for muscle and joint pains when applied topically. More effective than oral Aspirin, from my personal experience. It is also helpful for respiratory condition. The Health Canada maximum for it is 1% in topical products though up to 2.4% can be safely used. Essential oils are highly concentrated. People with Aspirin sensitivity, blood clotting disease, GERD, children, seniors or pregnant women should avoid products containing Wintergreen. Side effects may not manifest themselves until much later. Wintergreen should never be ingested. With that said, the Wintergreen in Olbas oil may be very low dilution. Thanks for the info. The bottle I have says 3.4% but it is a mixture of different oils. Very good to know.